Pedham Place Golf Centre is the place to be, offering excellent facilities and friendly service throughout the complex, to societies, companies and corporate organisations wishing to host golf days, charity days, competitions and tournaments. The 18-hole, par-72 Championship course was designed by John Fortune and has been constructed to the highest specifications. The links-style layout features an abundance of wildlife, a carp filled lake and has excellent drainage, making the course playable all year round. 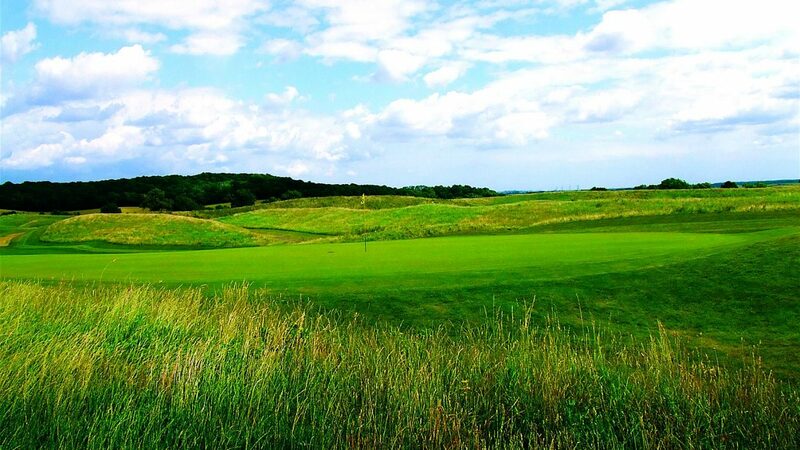 It provides an exciting challenge to both low- and high-handicap players, while enjoying the magnificent views across the Darenth Valley. It also has a par-three Academy course, which is ideal for a warm-up round or just a fun competition. A warm welcome always awaits in the new clubhouse, where friendly staff will greet and welcome your guests on the day, ensuring all their needs are catered for. Packages can be arranged to suit your specific requirements. The 40 bay covered driving range is an ideal place to warm up for your round or work on your game with our coaching team led by Kent County coach, Tim Milford. Lessons are available 7 days a week at a very competitive rate. Come along in Happy Hour and receive 50% more balls. Available seven days a week, email or phone for details. Leave the M25 at junction 3. Take the A20 and follow signs towards Brands Hatch. At the first roundabout take the third exit. You have now arrived at Pedham Place Golf Centre. Special offers always available, please phone for details. Visitors Restrictions: Normal dress code, soft spikes preferred. Par-3 Academy course, 40-bay floodlit driving range with Top Tracer launch monitors at no extra charge. Full catering facilities. 14 buggies available for hire.